New 2014 Chubbuck Guitars website!!! 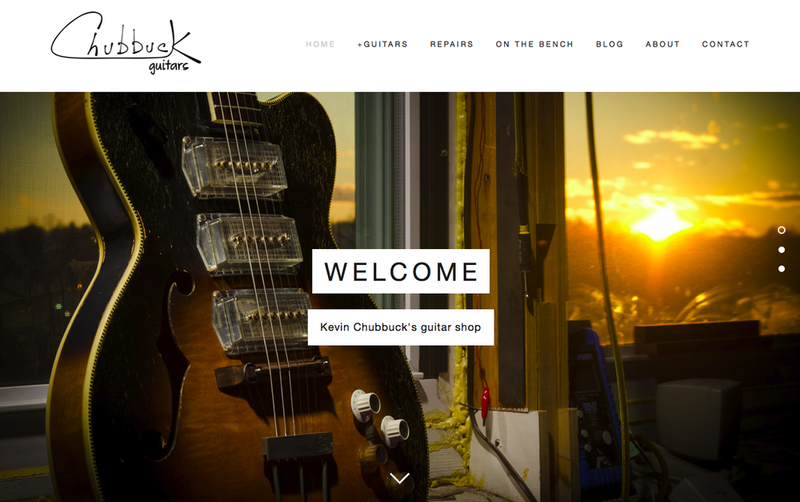 — Chubbuck Guitars :: making & repairing Guitars in a old building just north of Boston, Mass. New 2014 Chubbuck Guitars website!!! Last week I updated the website. I have long wanted to better organize my content and feel this is a step in the right direction. Everything I was posting online felt very scattered, so this new site helps gather it back together. Plus I set it up to be super easy to update so I can make quick updates and get back to the bench! Below is a video tour of the site. Check it out and let me know what you think. Thanks!